The Hasbro Hearing Things Game has players guessing what they think their teammate is saying by reading their lips. 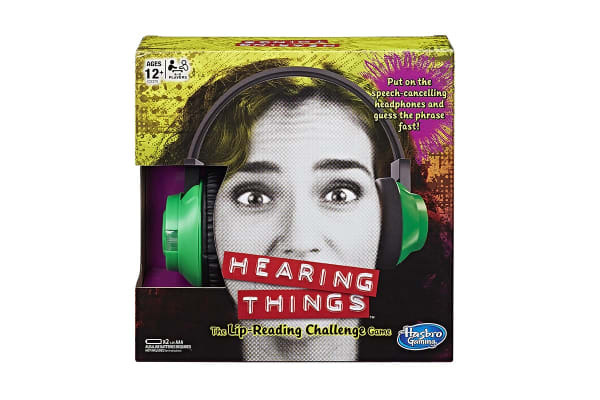 The Hasbro Hearing Things Game puts player’s lip-reading skills to the test! One player puts on the speech-cancelling electronic headphones and the other player says the random phrase shown on the card. 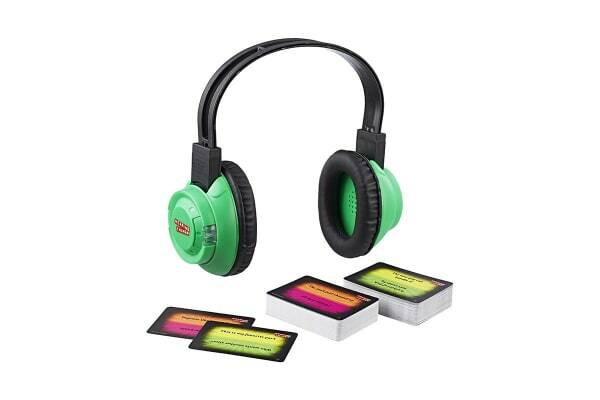 The player wearing the headphones can’t hear what their teammate is saying and has to figure it out to earn the card. The headphones also have a built-in one-minute timer. Teammates have to guess the phrase exactly, so keep repeating it until they guess it. Players wearing the headphones should guess everything they think their teammate is saying.